Although virtually unheard of outside Austria, Nassfeld is a really excellent resort when the snow is good - and despite being relatively low-lying, it has a good snow record and a long season. 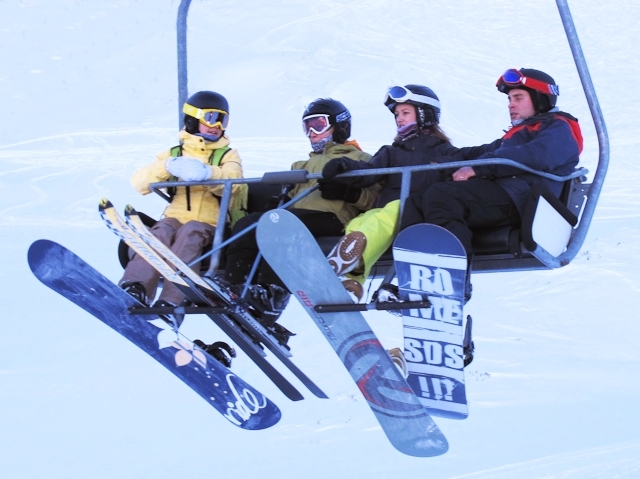 It has bags of nice cruisy runs, extensive off-piste, modern lifts, a great park and plenty of family-oriented activities. Après-ski is not bad either, and on Saturday's there is night skiing on what is claimed to be the longest floodlit piste in the Alps, at 2.2km. The resort is right on the Italian border and in the days before Schengen, I can remember skiing across to Italy for lunch, carefully avoiding the border guards who demaned papers from any skier who got within earshot! 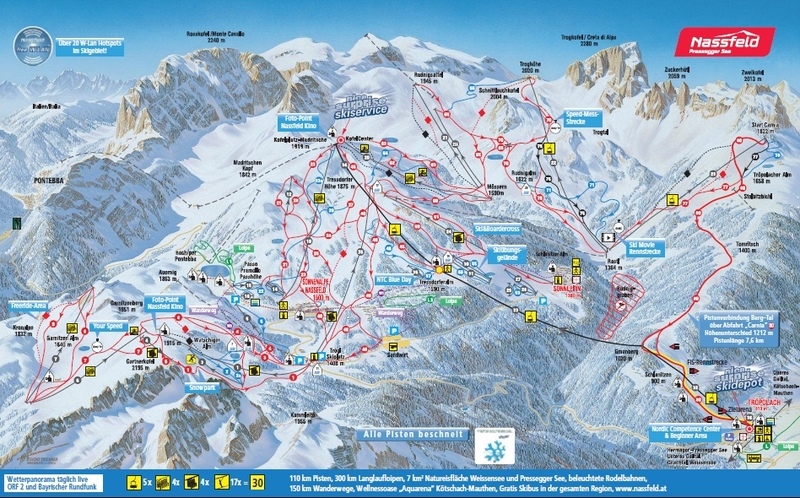 A free skibus gets you between Hermagor and the lifts at Nassfeld in around 10 minutes. There are regular trains from Villach to Hermagor. 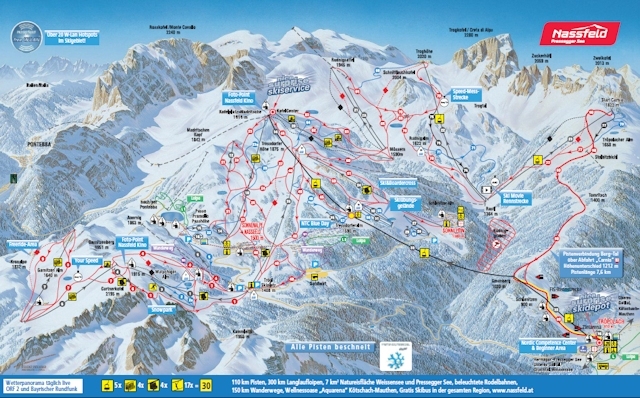 Did you ski Nassfeld or snowboard in Nassfeld? What did you think? Have you taken the train to Nassfeld? Do you have any tips on accommodation in Nassfeld or the apres ski? Is there anywhere else you have taken the train to ski? if so, please contact us and share you experiences using the contact link at the foot of the page.